Edwards and Company Construction has been a leading provider of insurance and risk management services in the construction industry since 1865 and maintains unparalleled carrier relationships to this day in the industry. We provide a unique approach to an industry facing exponentially increasing exposures and complex risk management issues at every turn. 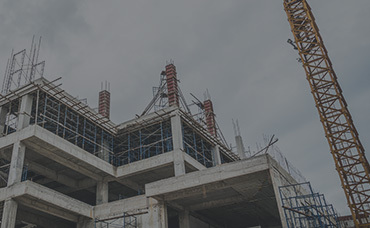 At Edwards and Company, we understand as a construction firm your needs and job requirements are more complex than most industries, and we provide the risk management tools to develop a highly structured and comprehensive program that meets the coverage requirements of our clients and yours. In creating the right program, our construction experts will begin with thorough contract reviews, property owner and general contractor requirements, as well as a thorough review of your risk transfer programs. We will help you in understanding any coverage deficiencies, contract breaches, and risk transfer gaps that could potentially result in severe loss potential. Through this initial process, our team will develop a comprehensive program that ensures you are afforded the best possible coverage at the most competitive pricing the marketplace has to offer. Edwards and Company provides its clients the resource and stability that comes only with 150 Years of experience, expertise, and the highest level of customer service. See the difference Edwards and Company Construction can bring to your business.